Home / Blog / Is your brand desirable? Taking a brand from obscurity and turning it into a multi-million pound business does not happen over night. According to studies from the agency Clear, it takes a balance of substance, energy and connection, all of which are factors in influencing how consumers, think, feel and act towards a product or brand name. Clear produces a yearly Brand Desire study, which tells us which products and services are the most desirable to consumers. 2013’s Top 20 included favourite names such as Tiffany, Marmite, Ferrari and the website Trip Advisor. But what do these brands do which is so desirable to consumers? 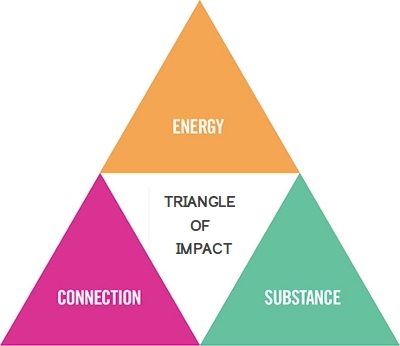 According to Clear, the key is the ‘Triangle of Impact’: energy, substance and connection. Having spent three years collecting Brand Desire data to test their theories, the formula shows these three characteristics can make or break a brand’s marketing strategy. When done well, the commercial impact is enormous, as iTunes or Fairtrade can testify to. When not utilised effectively, the Triangle of Impact drops your brand so far down the list, it may as well not be there at all. What exactly do they mean by ‘energy’, ‘substance’ and ‘connection’? In terms of ‘energy’, they are referring to the effort the brand puts into driving the organisation towards success. This could be measured in many ways, from the time they take to draw up a marketing strategy, to the money invested in doing so. There must be a realistic chance of the ambitions of the company being viable, with all decisions having a clear idea of what’s possible within the business and what is overambitious. The ‘substance’ is the proof of that energy. Sure, you’ve created a great product or service that benefits consumers, but are you continually working to re-evaluate and innovate said product or service to ensure the brand proves invaluable to their every day existence? Apple knocked Microsoft down a peg or ten when their products – iPod, iPad, iPhone, iTunes etc – captured the public’s imaginations. Can we imagine the world without their products? Not any more. The ‘connection’ refers to the personality which draws the consumer to the brand. It’s not unlike the conversations you have with strangers to form friendships. As in friendship, the brand finds common ground with the consumer and uses its personality to appeal to their desires. Maintaining the connection with the consumer is difficult, just like any human relationship. It takes a lot of elbow grease, determination, a listening ear and innovation. Do not underestimate the power of the personality in selling your brand. More than ever people are looking to trust the organisations they put money into. The brands people connect with are usually: cool, caring, respectful, reassuring, sociable and hold status. Will this strategy transfer in 2014 and beyond? We’ll have to wait and see.